Our world-class, state-of-the-art healthcare experience focuses on great outcomes for our ENT patients. We stay on the cutting edge of new treatments to give our patients the best options for treatment. 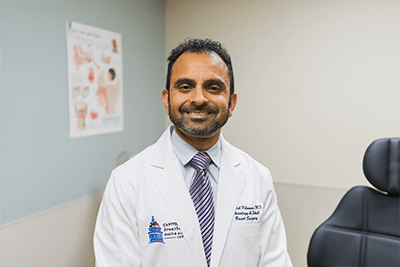 We are the only office in DC with in-office CT scanning to provide you with a “one stop” location for diagnosis and treatment – perfect for people with ENT problems and a busy life! We offer full ENT care for adults and children, with specialties in the diagnosis and treatment of sinus and allergy issues.We treat each patient as the most special and important visitor that we see. We want our patients to feel respected, appreciated, well-cared for, and always to come back to our practice when they need ENT care. Otolaryngology is actually an abbreviation for otorhinolaryngology which is taken from the Greek words for ear (oto), nose (rhino) and throat (larynx). 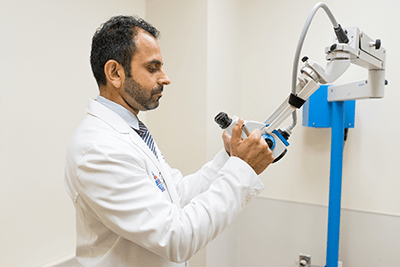 The study of otolaryngology has expanded over the years and now is considered a regional specialty including structures of the head and neck. 1 Otolaryngologists are also known as ENT specialists as a shortened version of Ears Nose & Throat. Ears - The treatment of hearing disorders is unique to otolaryngologists. Among the issues treated are diseases and infections of the ear structures, Eustachian tube problems, congenital deformities and hearing loss from a variety of sources. Nose - Disorders of the nose contribute to breathing problems and result from structural issues within the nasal cavity, inflammation and infection of the sinuses due to allergies and exposure to irritants, and associated disorders of the ears, mouth, throat, head and neck. Throat - The diagnosis and treatment of disorders of areas in the throat include the tongue, throat tissues, larynx and esophagus. They include issues with vocalizing and swallowing. Head & Neck - Diseases and disorders affecting the face, head and neck that often are treated by otolaryngologists include infectious processes, traumas, deformities and tumors. We offer you and your family the best patient experience in Ear Nose & Throat care available in the DC Metro area. Contact us and find out how easy it is to schedule your appointment.